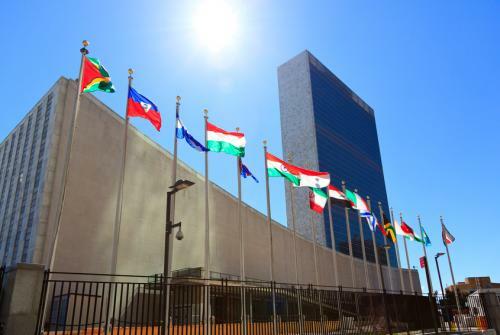 World leaders in the UN General Assembly have agreed upon a strong political declaration to curb spread of infections that are resistant to antimicrobial medicines. The action shows unprecedented attention to the global risk and provides a good basis for international community to move forward. Antimicrobial resistance (AMR) happens when bacteria, viruses, parasites and fungi develop resistance against medicines that were previously able to eliminate them. For the first time, heads of states have committed to taking a broad, coordinated approach to address the root causes of AMR across multiple sectors, especially human health, animal health and agriculture. This is only the fourth time a health issue has been taken up by the UN General Assembly. Health threats like HIV, non-communicable diseases and Ebola have been discussed by the assembly before. The high-level meeting was convened by the President of the 71st session of the UN General Assembly, H E Peter Thomson. "Antimicrobial resistance threatens the achievement of the Sustainable Development Goals and requires a global response," Thomson said. "Member States have agreed upon a strong political declaration that provides a good basis for the international community to move forward. No one country, sector or organisation can address this issue alone." Countries reaffirmed their commitment to develop national action plans on AMR, based on the Global Action Plan on Antimicrobial Resistance. The plan is a blueprint for tackling AMR, developed in 2015 by the World Health Organization (WHO) in coordination with the Food and Agriculture Organization of the United Nations (FAO) and the World Organisation for Animal Health (OIE). Leaders recognised the need for stronger systems to monitor drug-resistant infections and the volume of antimicrobials used in humans, animals and crops, as well as increased international cooperation and funding. “Antimicrobial resistance poses a fundamental threat to human health, development and security. The commitments made today must now be translated into swift, effective, lifesaving actions across the human, animal and environmental health sectors. We are running out of time,” said Margaret Chan, director general of WHO. Common and life-threatening diseases like pneumonia, gonorrhoea and post-operative infections, as well as HIV, tuberculosis and malaria are increasingly becoming untreatable because of AMR. Left unchecked, AMR is predicted to have significant social, health security, and economic repercussions that will seriously undermine the development of countries. Antibiotics are considered the greatest and most urgent global risk requiring international and national attention. “AMR is a problem not just in our hospitals, but on our farms and in our food, too. Agriculture must shoulder its share of responsibility, both by using antimicrobials more responsibly and by cutting down on the need to use them, through good farm hygiene,” said José Graziano da Silva, director general of FAO. Leaders at the UN meeting called on WHO, FAO and OIE, in collaboration with the World Bank other relevant stakeholders, to coordinate their planning and actions and to report back to the UN General Assembly in September 2018.